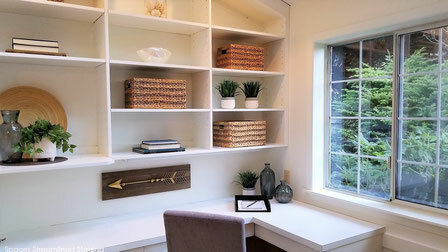 Home Staging To Sell Services - Spaces Streamlined Home Staging, Styling and Organizing Gig Harbor, Tacoma and surrounding areas. Compelling photos for your online listing are critical as over 90% of buyers are searching online to find beautiful homes! Home staging is essential for ensuring fantastic first impressions- both online for inviting prospective buyers in as well as for the moment they drive up and lay eyes on your house from the street. Let us help you present a warm and welcoming home that your buyers will fall in love with! 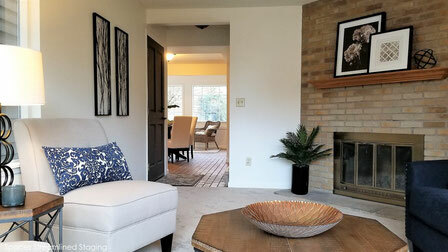 Please review our occupied and vacant home staging packages below, visit our Gallery and Staging Projects page to see the quality of staging your home will receive when you choose Spaces Streamlined, then contact us for a no obligation estimate 253-468-8134. Present your home to the market looking its’ best with our professional staging services that include a DIY consultation and/or our hands-on staging magic! 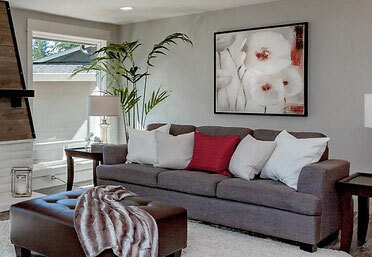 We'll transform your home, give it that special warm and inviting feel and create "I want to live here!" appeal. For the home that is in good condition and has existing furnishings and decorative accessories that we can use. We'll jump right in, staging and styling your home making the most of what you have- perfect for Open House events, marketing photos, etc. Listings with photos of vacant, empty rooms are cold and uninspiring. Creating a warm and welcoming look by bringing in beautiful and stylish furnishings is essential to invite prospective buyers in to view the home as well as to help them visualize living with their own belongings in each room. This emotional connection is an important first step to them “falling in love”! Sell quickly and save months of carrying costs such as mortgage payments, taxes, insurance and utilities as well as costly price reductions by staging your home before listing. We provide stylish furniture, artwork and accessories to accent and showcase the most desirable features of your home and attract the perfect buyer for your property. Call or email us to check our availability, then supply the address and square footage of the home, the rooms you'd like staged and an approximate listing price and we can email a ballpark estimate of our staging fee to you. 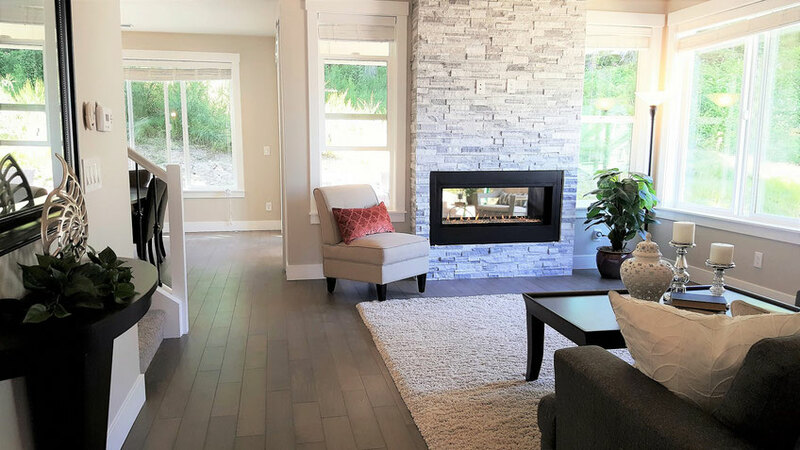 If the estimate is agreeable, we will set up a time to meet to view the home, determine an exact price for staging and will present you with a proposal listing all services and fees within 48 hours or less. A recent study by the Real Estate Staging Association found that Washington homes staged before listing sell seven times faster than unstaged homes! Unstaged homes sat on the market for approximately 145 days without an offer. The owners then decided to stage- and sold on average in 39 days. than if they were listed first and staged later.